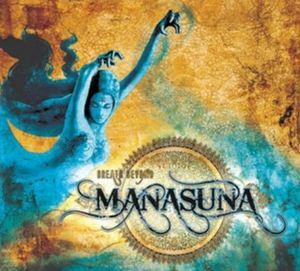 MANASUNA - the meeting of the different worlds of sound: modern electronic music, ethnic and classical music. Unusual sensitivity of the musicians and openness to search new musical horizons allowed them to create a band with a wide spectrum of sounds and musical interpretation. Musical instruments used by Manasuna (Monsoon), including: indian sitar, taus, persian santur, saz, australian didgeridoo, classical cello, violin, drums and flutes from around the world, and modern electronic, give our compositions a unique sounds, fabulous climate from undiscovered world and create an mesmerizing rainbow of sounds. After several years of silence, Organisation Toth points out, that it is still active. The music on the album is not "nice" martial, there are no neoclassical notes, no clear structures, no bombastic melodies. In return, we get a raw industrial sounds located in the area of achievements of the legendary project Turbund Sturmwerk. Howling sirens, chaotic rhythms, noises and creaks make feeling of confusion and strong sense of unspecified anxiety. The album is dominated by austerity, the sounds are sharp and prickly. 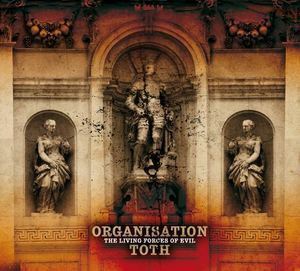 Organistaion Toth reminds us that martial industrial have had such roots, martial is idea, and the music is only the background to express beliefs and values. 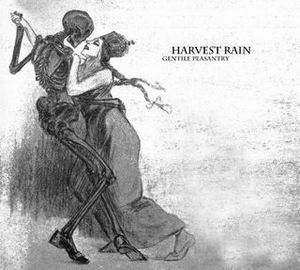 Harvest Rain - "Gentile Peasantry"
This album is the Sister album to HARVEST RAIN "Blood Hymns". It also contains the original members of HARVEST RAIN. The songs were recorded during the same Yuletide - Winter Solstice Sessions as the tracks on "Blood Hymns". In fact there is really nothing all that different from this version of "Pillars of Ice" than on the BLOOD HYMNS version except the chanting in the song which is a "Listian Magickal Formulae" or an "Armanen Magickal Formulae" (Listian as in Guido Von List). This version of "Thuletide" is the original. I added the icy keyboard version on BLOOD HYMNS later on right before that album was released. This album was in fact the original album that I had released under the moniker of "CAIN RIVER" instead of HARVEST RAIN. It was my first attempt at playing HARVEST RAIN with electric guitars, drums and record what one could call a "rock" or "dark wave" album instead of being strictly limited to dark folk. The album is inspired by MIGUEL SERRANO just as BLOOD HYMNS was and is. The extra tracks were recorded mostly during the same sessions, but kept off of any albums. Jason Thompkins. 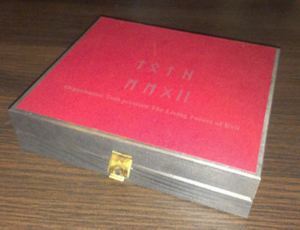 The beginning of 2012 was a time for a premiere of the first record of Legionarii – “Europa Rex”. Now, it’s September and I am presenting you a descendant of the debut - “Iron Legion”. The record is not similar to its predecessor; a lot has changed in the musical sphere. The arrangements are more elaborate. An intrinsic component, which appears in the music, is a clear and powerful rhythm which highlights the author’s message. What about the message? Like on „Europa Rex”, there is no compromise; the message is clear and legible.